May 9th is a national day of celebration to raise awareness of American’s public gardens and their important role in promoting environmental stewardship and awareness, plant and water conservation, and education in communities nationwide. We will share information on other local, regional and national public gardens—great resources for trip planning or entertaining friends and family. PowellsWood will be open for our regular hours, 10am to 3pm. Admission is $5.00, children under 12 are free. Special offer—print a coupon from National Public Gardens Day for complementary coffee, tea and cookies with admission. Click here for more info, and to get your coupon! 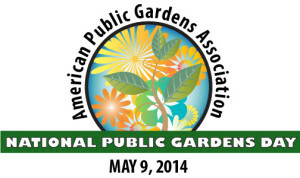 Once on the NPGD site, click “Find Gardens Near You” and look for PowellsWood. Having trouble with that coupon. The National website says it doesn’t recognize PowellsWood.